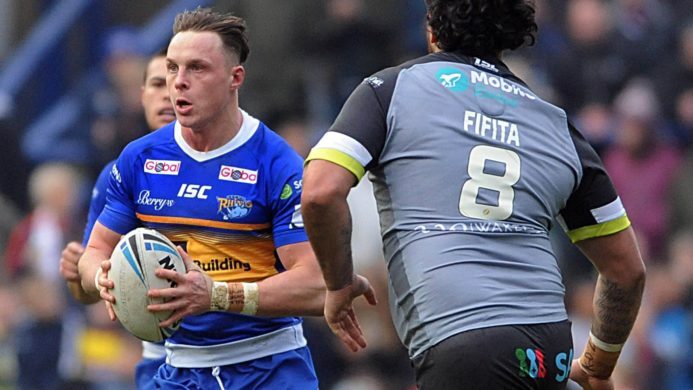 Good Friday is family day at Emerald Headingley Stadium and the Rhinos host Huddersfield Giants in our next home Betfred Super League game, kick off 3pm. We’re delighted to be joined by Nando’s on match day who will be providing free vouchers to all fans upon entering the stadium, allowing you to take advantage of some amazing food offers at local Nando’s restaurants for the next year. Look out for the Nando’s team and their mascot Barci around the ground on match day and be sure to grab a freebie. 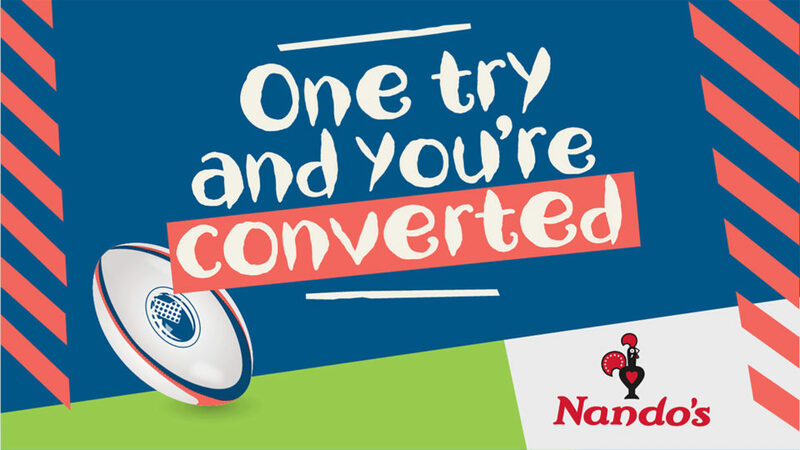 Plus look out for the half time kicking competition on the Emerald Headingley pitch, where one lucky fan can win some amazing Nando’s prizes, the top one being FREE Nando’s for a year! Turnstiles open at 12.30pm on game day and there’s lots of free family entertainment around the ground so come down early to enjoy what’s on offer and make the most of the Easter Bank Holiday weekend. Book your match tickets now to secure the cheapest price and save £3 on match day prices. Standing tickets in the South Stand Terrace, Extentia Terrace and West Terrace for just £12 for juniors (16 & under), £16 for concessions* and £24 for adults when you buy before midnight this Thursday. 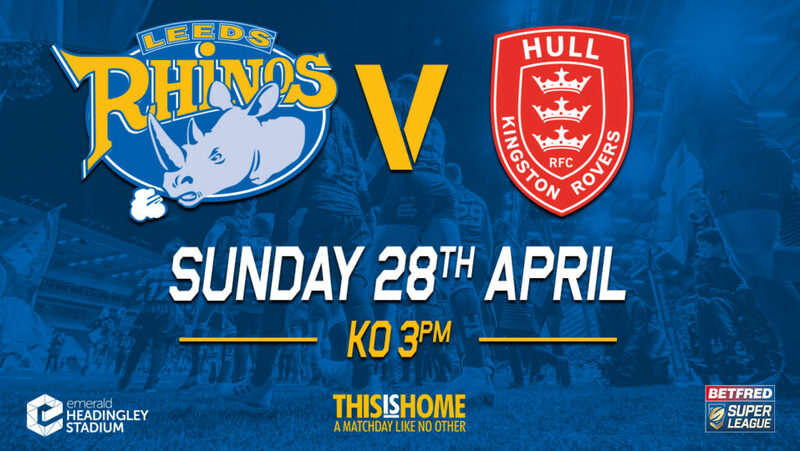 Buy match tickets online at tickets.therhinos.co.uk, call the Ticket Office on 0371 423 1315 or buy in person from the Ticket Office at Emerald Headingley Stadium. Advance match ticket prices are valid until midnight the day before the game and prices increase on match day by £3, so please book in advance to guarantee the cheapest price on your ticket. If you’re a Season Member and can’t make the game please list your spot for Buy Backs. 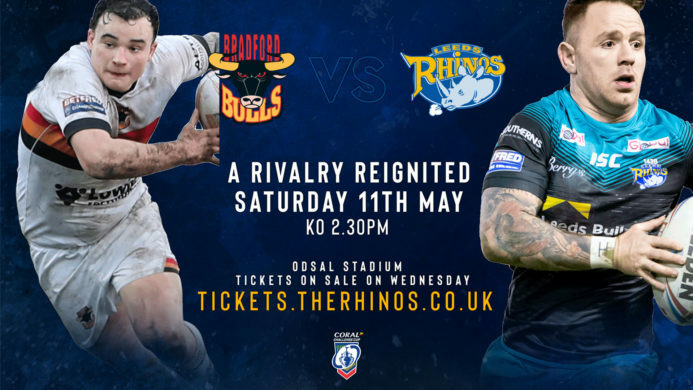 By releasing your ticket for sale to other members of the Rhinos family, who may not be able to attend the match otherwise, you can also benefit as you could get a match credit up to £10 if your spot sells! You can then use your match credits for things like away tickets & travel, Cup games or even Season Memberships. List your spot and find out more about the Buy Backs scheme online at tickets.therhinos.co.uk or give us a call on 0371 423 1315. *Concessions = Seniors aged 65 and over, students and Under 21s (Valid ID required), Disabled (ambulant and wheelchair). Disabled fans are entitled to a free carer ticket upon proof of carer allowance.